S’mores are a classic favorite, and the fun part is that the flavors can be translated to so many things. For examples, s’mores pie, s’mores bars, and even s’mores dip are all recipes that are readily available online. 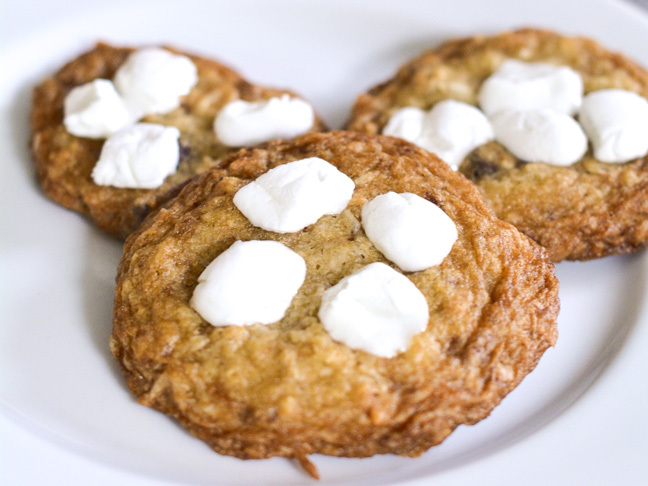 The other day my daughter asked if I could make a s’mores cookies recipe, and I thought it was a great idea. 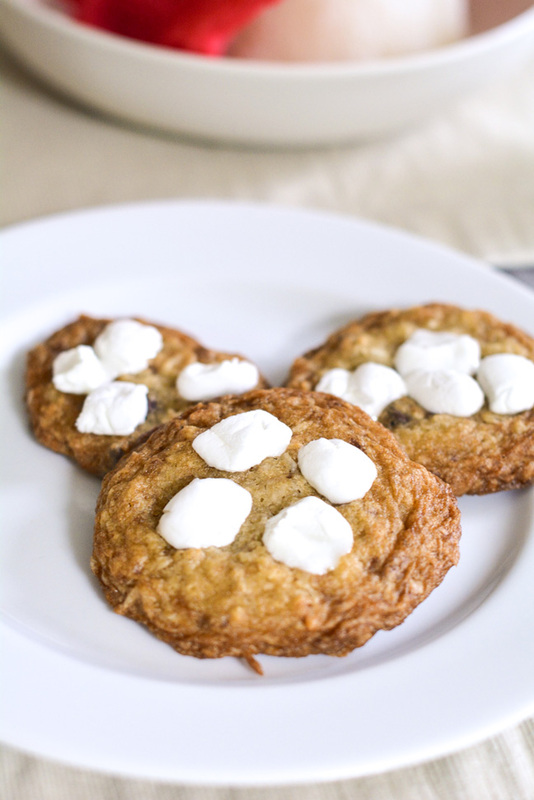 Why not make a graham cracker flavored cookie and add in chocolate and marshmallows to give it a s’mores flavor? We started these by adding lots of graham cracker crumbs and cinnamon for flavor. Then, of course, a generous helping of chocolate chips. Once the cookies were out of the oven, we topped them with chopped up marshmallows, and they melted right into the cookies. 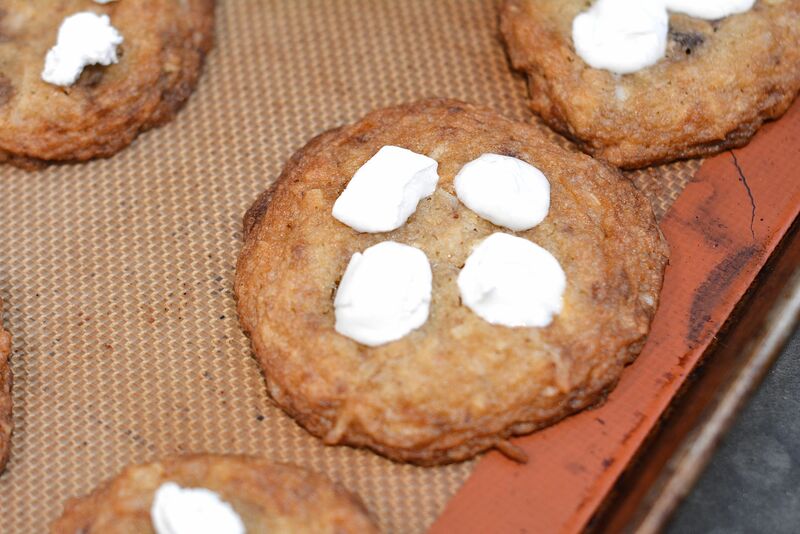 The result was these ooey gooey cookies that tasted like they’d just come out of the campfire. Step 1: Preheat the oven to 350 degrees F. Line two large baking sheets and set aside. Step 2: In the bowl of an electric mixer, beat the butter and sugars until light and fluffy. Then, beat in the eggs and vanilla extract until smooth. Step 3: Mix the salt, soda, crumbs, cinnamon, and flour in a large bowl. With the mixer on low, add the dry ingredients until just incorporated. Then, stir in the chocolate chips with a wooden spoon. Step 4: Scoop the dough in 1½-teaspoon size balls onto the lined baking sheets two inches apart. Bake them for 10 to 12 minutes, or until set in the center and golden around the edges. Step 5: Remove the cookies from the oven and immediately put 5 or 6 marshmallows on top. They will slowly melt into the cookie. Allow the cookies to cool completely on a wire rack before eating.